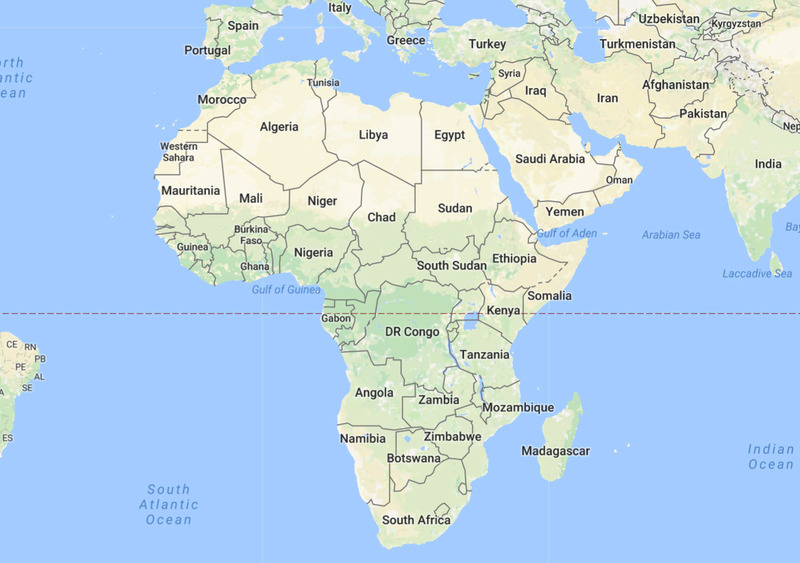 The African countries that make up “safari” Africa are the countries within East Africa and Southern Africa. It is these countries that are home to the so-called Big Five – Elephant, Lion, Cape Buffalo, Rhino, and Leopard – in addition to many other species of wildlife. Africa is not only about wildlife. In fact, many of those that go on safari are enticed by Africa’s wildlife, but return home raving about the warmth and hospitality of the people. Returning safari goers also appreciate that taking a safari is not a once in a lifetime event. Each country making up “safari” Africa is different; therefore, it takes repeated visits to Africa to appreciate all that it has to offer. Think of Europe with its many nationalities, cultures and cuisine all mirrored in Africa. The colonial period in Africa is often referred to as the ‘Scramble for Africa,’ when the nations of Europe scrambled to claim a piece of the new world Africa. This left each African country with its native traditions along with those adopted cultures of Europe. As a result, there is a huge diversity between the countries of Africa in wildlife, cuisine and culture. The countries that make up East Africa are Kenya, Tanzania, Uganda and Rwanda. The countries that make up Southern Africa are Zambia, Malawi, Zimbabwe, Botswana, Namibia and South Africa. The furthest north is Zambia, bordering Tanzania. The furthest South is South Africa at the tip of the Africa continent where the Atlantic and Indian Oceans meet. Besides the well-known safari areas of Africa listed above there are also the Indian Ocean islands of Seychelles and Madagascar. Seychelles is primarily a beach holiday on the world’s only granite islands. The island of Praslin is said to be the biblical Garden of Eden with Adam and Eve. Madagascar is the only place in the world to find lemurs. There are many species of lemur from very small to quite large. Tanzania is a huge country, almost twice the land mass of Kenya. Uganda was called by Winston Churchill, “the pearl of Africa” for its variety of wildlife and stunning scenery. Rwanda has been rebuilt since the terrible days of its genocide. It is now an alternative destination for Mountain Gorillas. Zambia has allocated over 30% of its landmass to wildlife conservation. Zimbabwe conveniently has its main wildlife viewing area, Hwange National Park, situated close to the Victoria Falls. Malawi is known for its welcoming people and inviting Lake Malawi, teeming with a good eating fish called bream, known in the USA as tilapia. Botswana has carefully controlled the development of its wildlife camps ensuring that they remain small and intimate. Namibia has the world’s oldest desert in the Namib desert. South Africa’s tourism logo used to be, “A world in one country” with complete justification.